This is a slightly skewed version of Sean Paxton's recipe for IPA Peanut Brittle. 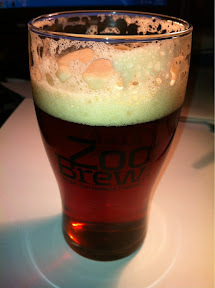 I followed the recipe except I used my 'so/so' pumpkin rye ale instead of a hoppy IPA. Since my Pumpkin Ale is not hoppy, I decided to try and reduce the ale down from 3/4 cup to 1/2 cup in order to get larger flavors. I do not have a silpat mat, but I do have parchment paper. I just lined a cookie sheet with parchment and avoided oily brittle and having a wash a cookie sheet. It turned out tasting like peanut brittle and is actually really hard to find any of the ale flavour or aromas. During the cooking it went from caramel to scorched because my heat was too high. Resist using high and medium high heat, keep it at medium! The boiling candy will stop at 212 for a while, this is because there is water that needs to evaporate. At this 212 temperature you may think, "hey this needs more heat, because it has stopped rising in temperature", don't do it; wait for the water to evaporate and it will continue to climb to the hard crack (300-310) temperatures. I made two batches. The first is scorched, but I like the bitterness it added to the brittle, sort of balances out the sweetness, just like in a well made APA. The second batch came out more like traditional brittle, and it was hard to taste any of the beer character at all. I will definitely do this in the future, but I think an overly hopped IPA that is reduced down from 1 1/2 cups to 1/2 cup might give the candy that beer character. Stop and think about what flavors go well together. A hoppy, citrusy India Pale Ale with salted peanuts, found in a bowl, on your favorite bar top. This brittle takes that idea and recreates it in a candy any hophead will surely love. Lightly grease a baking sheet with butter or use a Silpat® mat and set aside. In a large saucepan, combine butter, sugar, IPA and salt, stirring over low heat until sugar is dissolved. Bring to a boil and cook to a hard crack stage, 300-310°F (148.8 – 154.4°C) and up to 325°F (163°C) for a darker color. 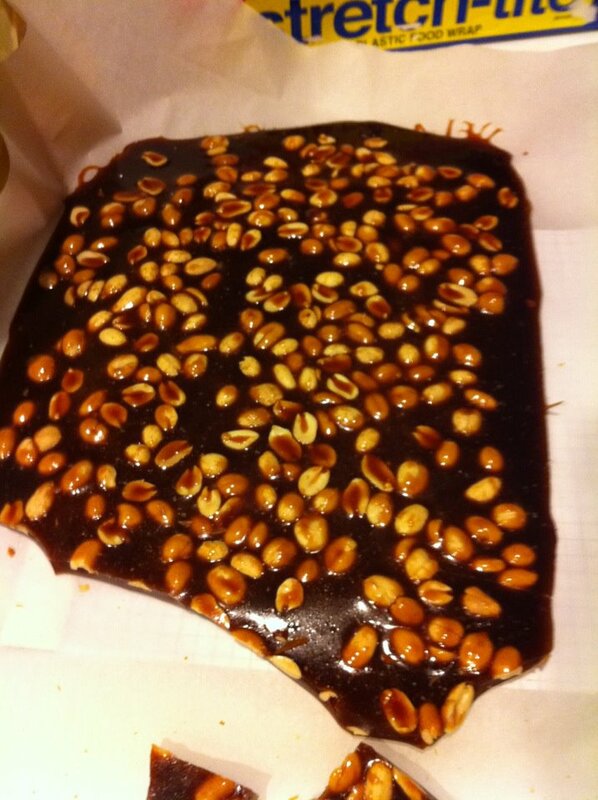 Remove from heat and stir in peanuts pouring onto prepared cookie sheet, spreading evenly. Let cool to room temperature, then crack into bite size pieces. Store in an air tight container for up to 1 week. Here is a glass of the current Down At The Delta ESB. Crystal clear reddish amber with great head. At first I was not pleased with the hops, and I am still not exactly happy, but they have mellowed and the grassy aroma has dissipated. This beer is actually a bit too hoppy in bitterness for me, and is lacking in the nice delta hop citrus aroma, but actually closer to a proper ESB. It has turned out to be very balanced. I used amber malt instead of the victory this time around. I have been told they are interchangeable, but I believe the amber is far more biscuity, or the biscuit flavor is sharper than that of victory malt.